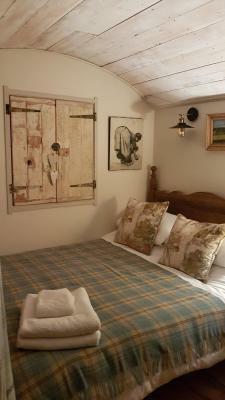 Lock in a great price for The Shepherds Snug - rated 9.1 by recent guests. 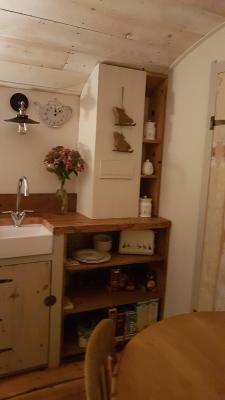 Lovely cosy shepherds hut, surprisingly spacious and beautifully fitted out with cute custom kitchenette and lovely shower. 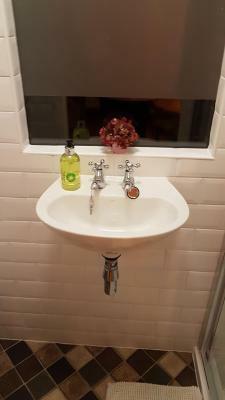 The owner was very friendly and helpful and provided a really lovely continental breakfast. We particularly enjoyed sitting outside by the firepit with a glass of wine and a chinese takeaway. We also ate at the Dover Castle pub (less than 5 mins walk) where the food was good. We loved absolutely everything. 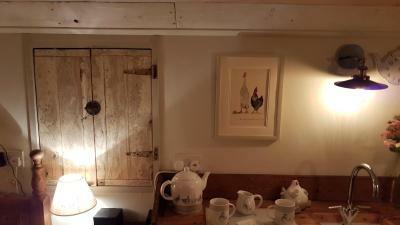 The Snug was full of rustic charm. Such attention to detail. Fantastic welcome. Tasty continental breakfast. 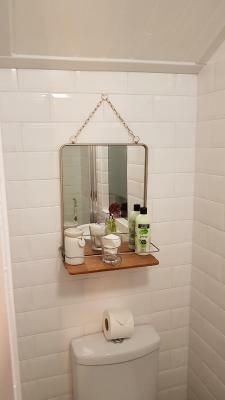 Toiletries provided. Lovely views of farmland. Great walks around Oare Marshes nearby, and close to Canterbury. Great restaurants. Plenty to do...or simply relax in cozy comfort. We'll definitely visit again. The compact living accommodation, the privacy, it was very clean and tidy, with all the facility's we needed. Great location for exploring around the local area. The continental breakfast, very fresh and tasty. Would definetley return. No everything so good nothing need change. Perfect cosy in lodge and environment so good and good view around the field and 5 mins walk to local pub called Dover castle pub the food really so fabulous. We didn’t want to go home after we been stay. Very so relaxing. Will go back again one day. Private. Well stocked fridge. Good heating. Lovely location and very romantic! Surroundings firepit, soft towels,clean bedding, tea coffee, nice family freedom to sit outside for cigarette . It was very quaint and relaxing the owner very helpful and loved to feed the horses. Setting was nice behind owners cottage on a main busy road. Four horses were lovely in the paddock right next to us. The Shepherds Snug is set in Teynham, 3.7 miles from Faversham. Free private parking is available on site. Certain rooms feature a seating area where you can relax. 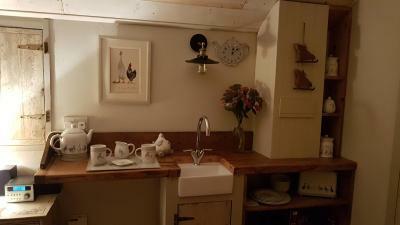 You will find a kettle, toaster and microwave in the small kitchen area where light and cold meals can be prepared. Extras include free toiletries and a hairdryer. The Shepherds Snug features free WiFi . Towels and linen are provided. Whitstable is 13 miles from The Shepherds Snug, while Canterbury is 13.5 miles away and Dover 25.5 miles from the property. The nearest airport is Gatwick Airport, 52.2 miles from The Shepherds Snug. This property also has one of the best-rated locations in Teynham! Guests are happier about it compared to other properties in the area. 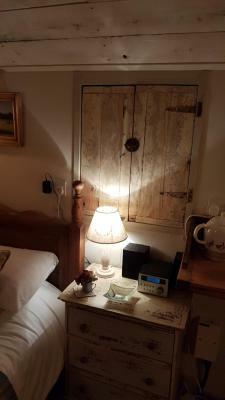 The Shepherds Snug has been welcoming Booking.com guests since 12 Jul 2017. 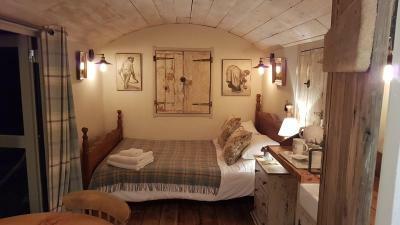 When would you like to stay at The Shepherds Snug? This double room comes with a double bed, small kitchenette with a mini fridge, microwave, toaster and kettle. Also included is a dining area, and an en-suite. Outside there is a barbecue and seating area. House rules The Shepherds Snug takes special requests - add in the next step! Please inform The Shepherds Snug in advance of your expected arrival time. You can use the Special Requests box when booking, or contact the property directly with the contact details provided in your confirmation. Although we felt safe and secure, a lock for Snug door would have been reassuring (probably had one in the house, had we asked). The croissants did not materialise. Should have fire alarm, package with internet connection and places to visit , arrived at 2 owner at work fortunately son arrived to let us in , breakfast OK but more butter please and had no milk for tea and coffee. Small difficult space for two. No smoke alarm or carbon dioxide alarm. Shower controls loose hanging off the wall. Handles on showe door on the wrong way round making it difficult to get out when wet. Lisa and her family were great and helpful and we were made to feel very welcome. Thankyou. Area, view of the horses, quite, very friendly owners.breaksfast was yummy but not enough for two days. Defo be booking to come back. We had a fantastic stay here. Lisa was so lovely and made our stay fantastic. She was so helpful, friendly and accommodating. The shepherds snug was clean, tidy, well furnished, decorated & equipped. The view was beautiful, we sat outside and watched the friendly horses out in the field whilst having a bbq. Truly a lovely weekend break in a fab location. Would definitely stay again.